The Dolce Vita Elvah mule flat has beautiful eye-catching appeal perfect for the office or nights out. 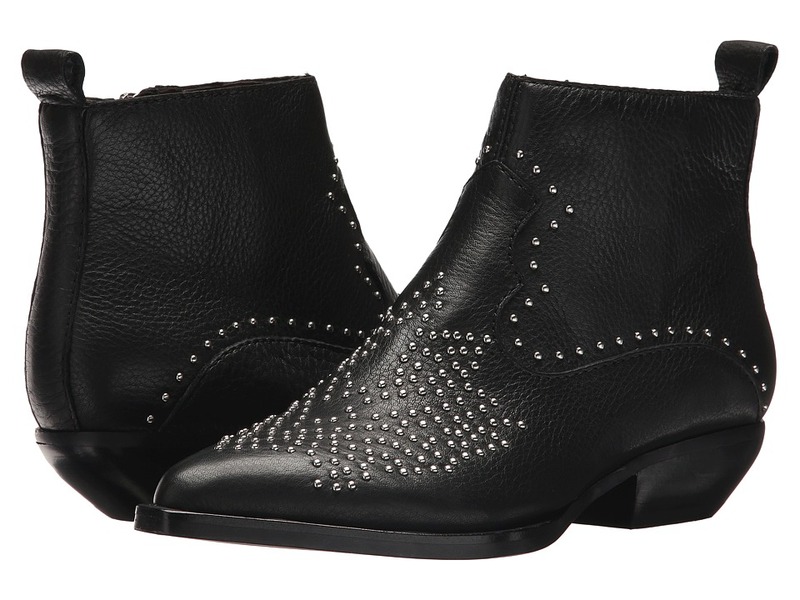 Leather upper features beaded embellishments. Closed pointed toe. Fabric lining adds additional comfort. Lightly padded footbed. Block heel. Synthetic sole. Imported. Measurements: Heel Height: 1 2 in Weight: 6 oz Product measurements were taken using size 8, width M. Please note that measurements may vary by size. Weight of footwear is based on a single item, not a pair. Give your look a contemporary twist with these Dolce Vita Haviva wedges. Heeled sandals with textile upper and bead detailing. Easy slip-on wear. Open-toe silhouette. Fixed footbed. Stacked wedge. Synthetic outsole. Imported. Measurements: Heel Height: 1 in Weight: 7 oz Product measurements were taken using size 8.5, width M. Please note that measurements may vary by size. Weight of footwear is based on a single item, not a pair. Feel the sun on your toes when you step out in the Dolce Vita Hazel wedge sandal. Leather upper. Leopard Calf Hair style is made of real dyed calf fur, imported from China Slip-on. Single toe loop. Synthetic lining. Lightly padded footbed. Wedge heel. Synthetic sole. Imported. Measurements: Heel Height: 1 in Weight: 7 oz Product measurements were taken using size 8, width M. Please note that measurements may vary by size. Weight of footwear is based on a single item, not a pair. Keep a look that~s naughty and nice with these stunning Dolce Vita Helana heeled sandals. 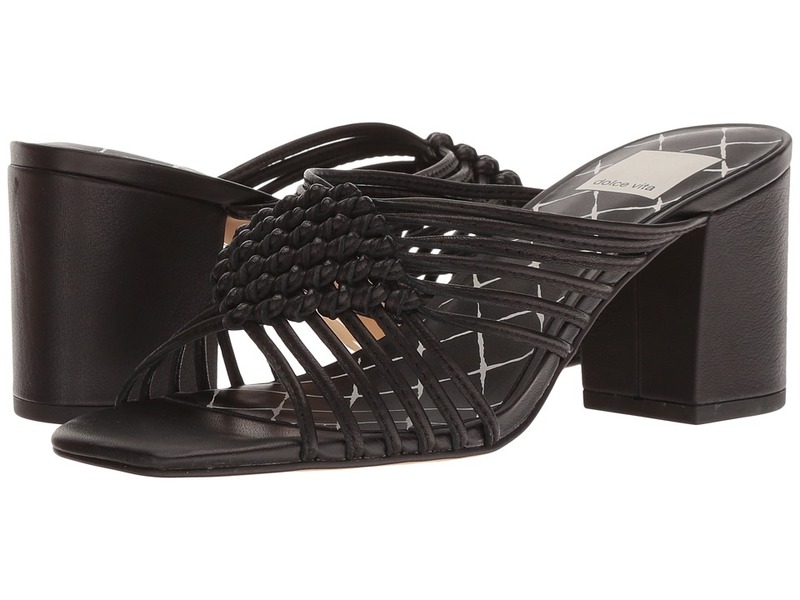 Sandals with leather upper boasting knot detailing. Slim ankle strap with buckle closure. Open-toe silhouette. Synthetic lining. Lightly-padded, cushioned footbed. Wrapped heel. Synthetic outsole. Imported. Measurements: Heel Height: 3 3 4 in Weight: 7 oz Product measurements were taken using size 8, width M. Please note that measurements may vary by size. Weight of footwear is based on a single item, not a pair. Set up your picnic date in these chic Dolce Vita Henlee sandals. 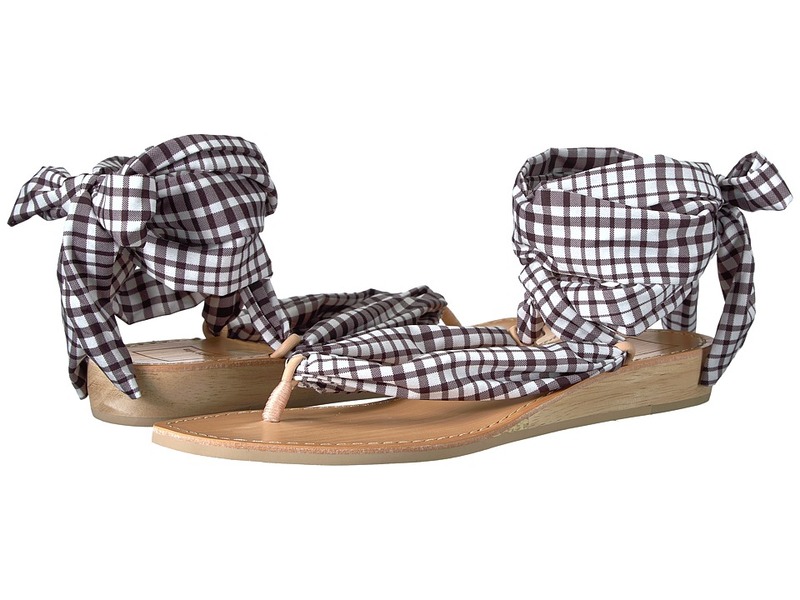 Thong sandals with plaid-patterned textile upper. Ankle strap with bow tie. Single toe post. Synthetic lining and fixed footbed. Synthetic outsole. Imported. Measurements: Heel Height: 1 in Weight: 7 oz Product measurements were taken using size 9, width M. Please note that measurements may vary by size. Weight of footwear is based on a single item, not a pair. Summer just got sweeter in these stunning Dolce Vita Katlee slides. Sandals with leather and mesh upper. Easy slip-on wear. Open-toe silhouette. Textile lining. Fixed footbed. Synthetic outsole. Imported. Measurements: Weight: 6 oz Product measurements were taken using size 8.5, width M. Please note that measurements may vary by size. Weight of footwear is based on a single item, not a pair. 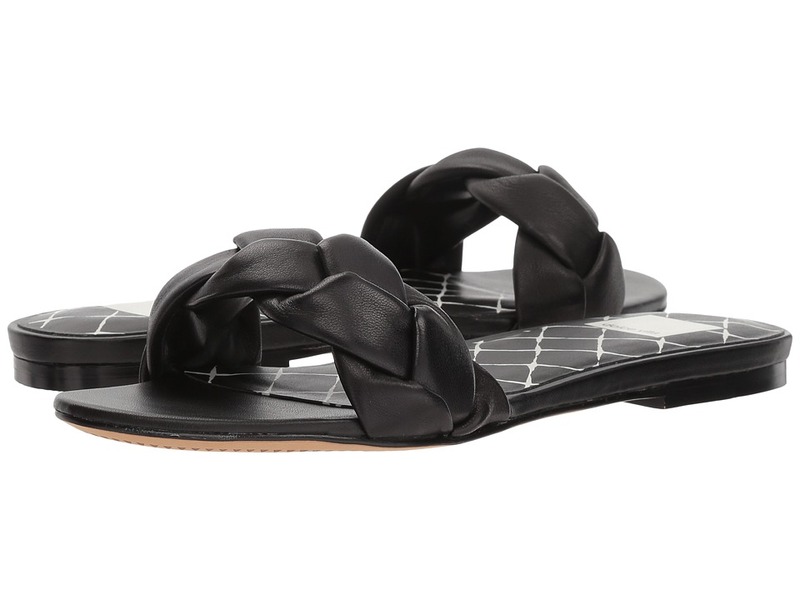 Tie your sleek style together with these Dolce Vita Kimana sandals. Slides with braided leather or linen upper. Easy slip-on wear. Open-toe silhouette. Leather or textile lining. Lightly-padded, fixed footbed. Synthetic outsole. Imported. Measurements: Heel Height: 1 2 in Weight: 5 oz Product measurements were taken using size 7.5, width M. Please note that measurements may vary by size. Weight of footwear is based on a single item, not a pair. 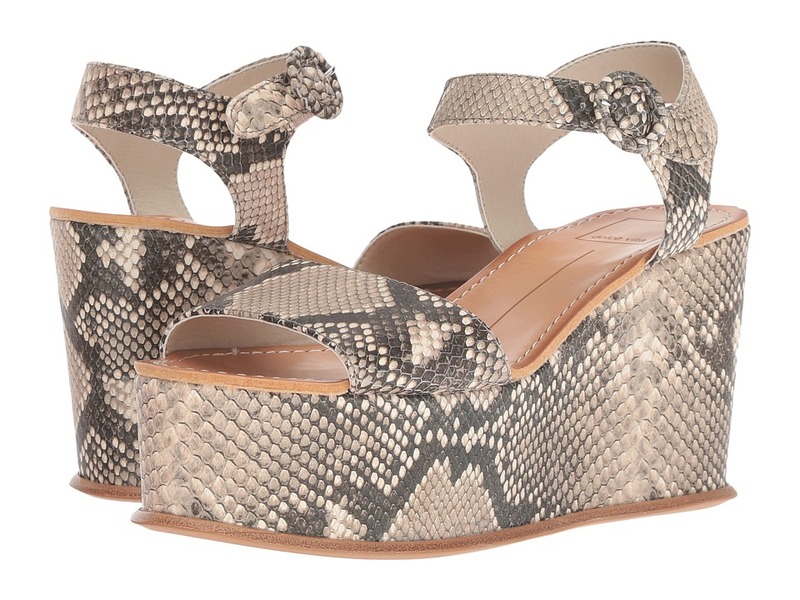 The exotic edge of these Dolce Vita Pavlin wedges bring your look to the next level! Espadrille sandals with leather upper. Elastic ankle strap. Open-toe silhouette. Synthetic lining. Fixed footbed. Jute-wrapped wedge. Synthetic outsole. Imported. Measurements: Weight: 9.5 oz Product measurements were taken using size 7.5, width M. Please note that measurements may vary by size. Weight of footwear is based on a single item, not a pair. 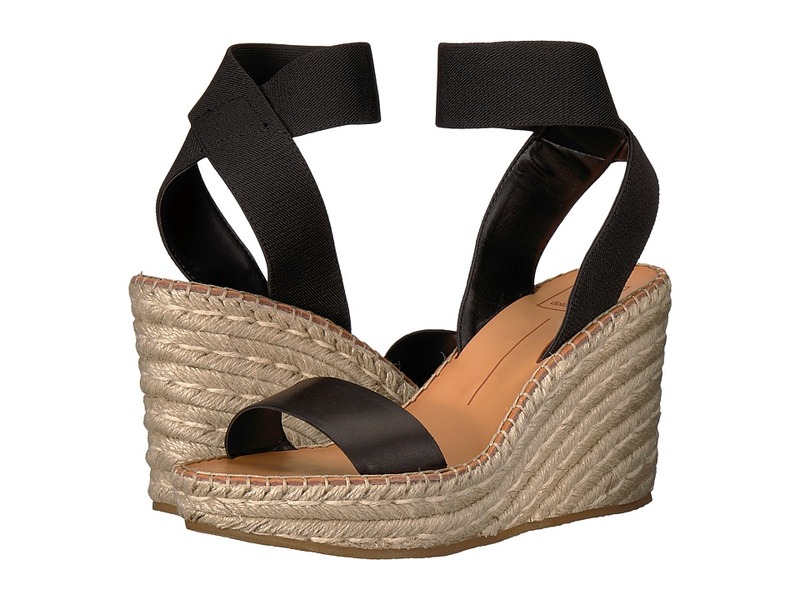 Step up your look for an ultra-chic summer ~fit with the Dolce Vita Vinita wedge platforms. 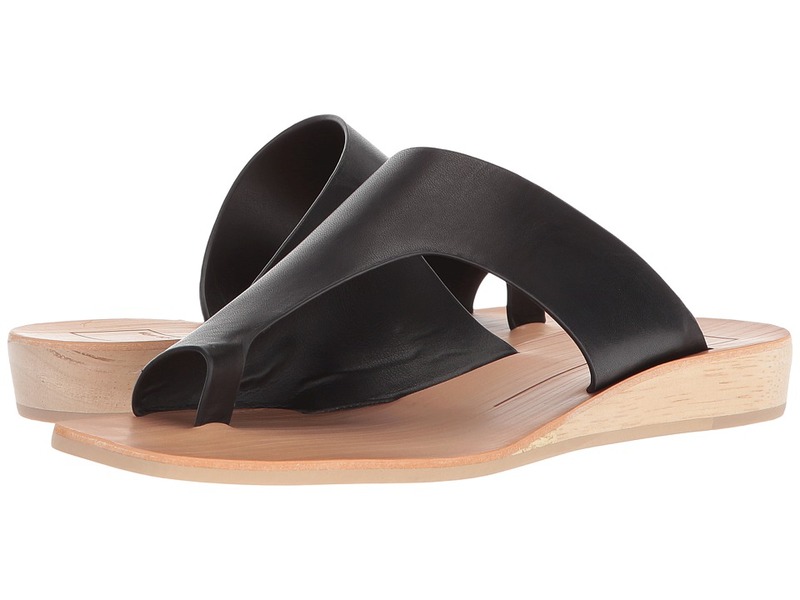 Slide sandals with leather or textile upper (notated in color name.) Easy slip-on wear. Open-toe silhouette. Leather or textile lining. Fixed, cushioned footbed. 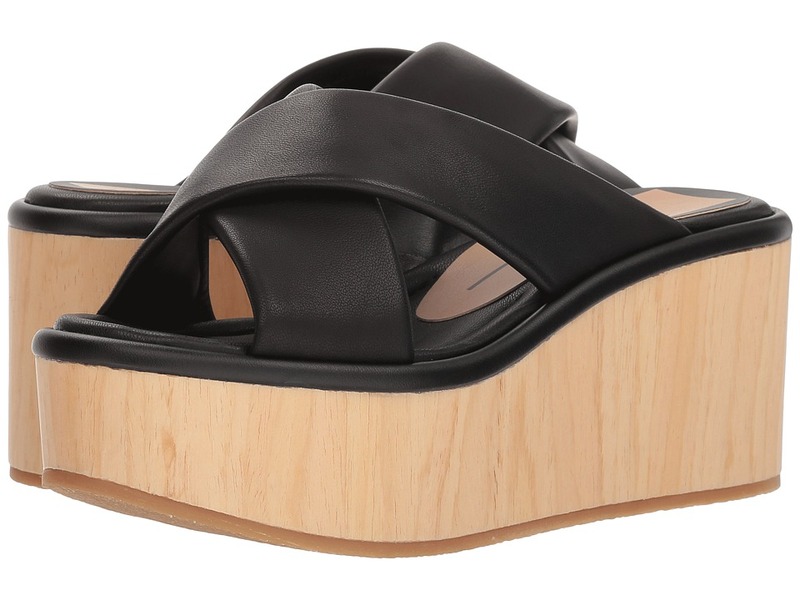 Wooden wedge and platform. Synthetic outsole. Imported. Measurements: Heel Height: 3 in Weight: 13 oz Platform Height: 2 in Product measurements were taken using size 8.5, width M. Please note that measurements may vary by size. Weight of footwear is based on a single item, not a pair. Flaunt your fierce style in these edgy Dolce Vita Uma booties. Leather upper features studded detail. Medial zipper closure. Pointed toe. Smooth textile lining. Lightly padded insole. Stacked cuban heel. Man-made sole. Imported. Measurements: Heel Height: 1 1 4 in Weight: 14 oz Circumference: 9 3 4 in Shaft: 5 in Product measurements were taken using size 8, width M. Please note that measurements may vary by size. Weight of footwear is based on a single item, not a pair. Get ready for the day out with the gals in these gorgeous Dolce Vita Delana slides. Woven sandals with textile upper. Easy slip-on wear. Open-toe silhouette. Synthetic lining. Lightly-padded, fixed footbed. Wrapped chunky heel. Synthetic outsole. Imported. Measurements: Heel Height: 3 in Weight: 8 oz Product measurements were taken using size 9, width M. Please note that measurements may vary by size. Weight of footwear is based on a single item, not a pair. Step up your look with the 70~s vibe of the Dolce Vita Datiah sandal wedges. Heeled sandals with textile or printed leather upper. Ankle strap with buckle closure. Open-toe silhouette. Synthetic lining. Lightly-padded, fixed footbed. Wrapped wedge and platform. Synthetic outsole. Imported. Measurements: Heel Height: 3 1 2 in Weight: 11 oz Platform Height: 2 in Product measurements were taken using size 8, width M. Please note that measurements may vary by size. Weight of footwear is based on a single item, not a pair.